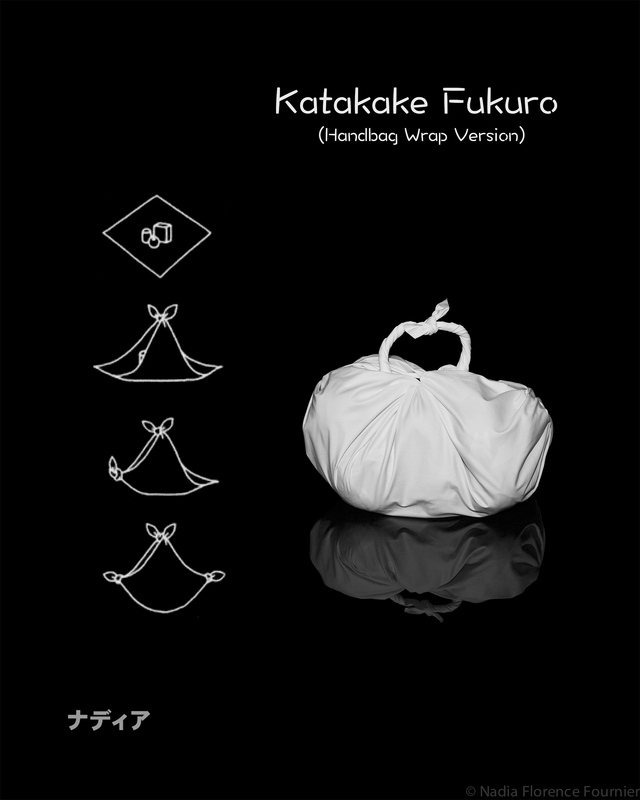 I actually did the “Handbag wrap” variation for the Katakake Fukuro (Over-the-shoulder wrap). After tying the two side knots, you flip the wrap inside out. Then, instead of simply tying a loose knot at the top (like shown on the diagram), you basically close the bag completely with an half-knot and twist both ends before tying them together (see picture).